The first day of the new academic calendar is not necessarily more important than the second, third, or 242nd day, but for some reason it is the day we all prepare for the most among the normal work-days. Our outfits are laid out, bags are backed, and lunches are prepared the night before. The transition for anyone in any workforce or school can be rough at the start, and dancers are no different. 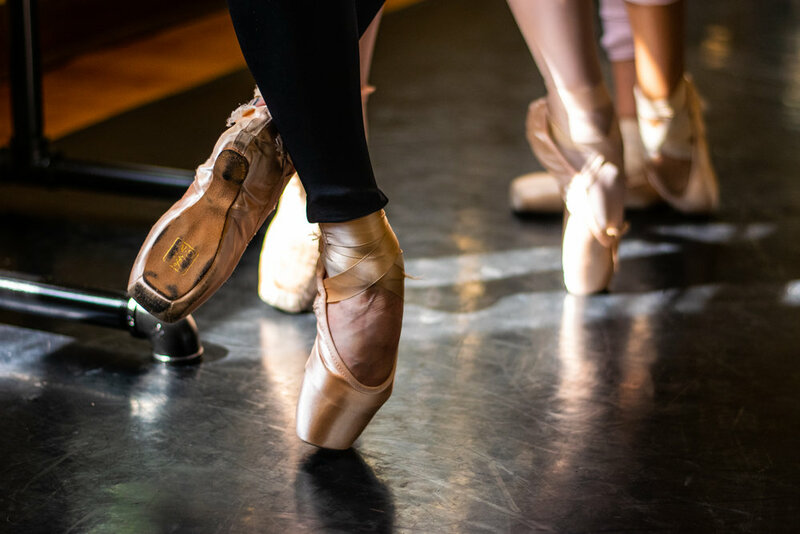 For dancers, the first day of season feels exactly the same way; shoes are sewn, tights are clean, and our lunch is prepared in hopes that the start of season begins smoothly and safely. As much as we train during the summer and prepare our open minds with bright attitudes, soreness and exhaustion are normal and expected. So, I didn’t think much of a little pain in my toe during the first rehearsal. However, by the end of day three when the pain in my toe exceeded everything else that was sore, I knew that something was wrong. For an artist, an injury at the beginning of season is terrible timing. Performance dates are being set, rehearsals are in full swing, and casting is around the corner. This is the time of year that I want to feel and dance my best in order to prepare my mind and body for the rest of season. Whenever I notice the beginning signs of an injury, I immediately imagine the worst, and this is exactly what happened those first few days. My mind went on a rampage asking myself unnecessary questions; why is this hurting so much? What could possibly be wrong? How am I going to be able to rehearse? How am I supposed to dance on October 6th? I needed to get into a doctor before all the worry and panic set in. This tends to be somewhat of a struggle to find someone with an opening that is not only soon, but also doesn’t cause missing rehearsals. My worrisome injury was efficiently diagnosed as an ingrown toenail and considered easily fixable. After a few injections and removing the piece of nail causing pain, this condition is expected to heal relatively quickly. A couple of days out of pointe shoes but dancing in flat shoes, I have eased back to prepare for the first performance. It is now post procedure day 11 and I am happy to report that I feel mostly healed. I hope that you have enjoyed part 1 of the new series, In Our Shoes. In addition to the work and beauty an audience sees at a performance, there are many things that are made invisible to the audience. There are hiccups that we face on a daily basis and it is my goal with this series to expose them in a light that increases the knowledge and appreciation about the art form of ballet.